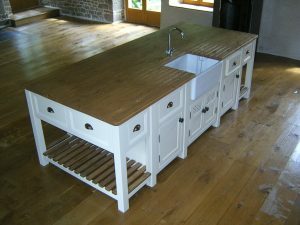 To upgrade to an oak worktop add £330. Delivery is free within 250 miles, please note this island will come in sections and final assembly is not included. 600mm belfast sink with chrome mixer tap.